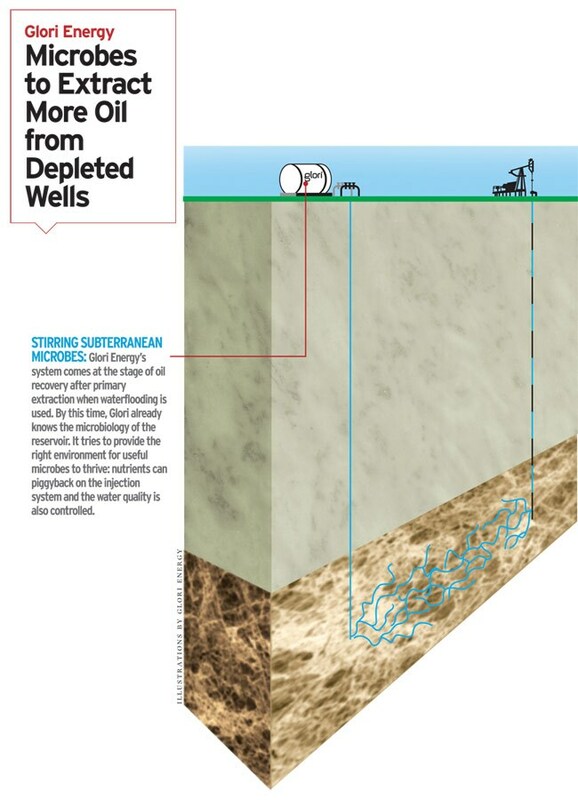 Microbes to extract more oil from depleted wells. Given that oil plays such an important role in the global economy, it is surprising how inefficient current extraction methods are. As a ballpark figure, consider that only 30 to 35 per cent of the total oil present in a reservoir is recovered for use. Building on methods developed by TERI and ONGC in India, Glori Energy, a Texas-based company, says it can extract another nine to 12 per cent - a third more than the oil originally extracted-while improving regular production by 60 to 100 per cent. The company, which has collaborated with Norway's Statoil and Brazil's Petrobras, acquired its own oilfield in March. It went public in April, which would provide funds to acquire more such assets. Stirring subterranean microbes: Glori Energy's system comes at the stage of oil recovery after primary extraction when waterflooding is used. By this time, Glori already knows the microbiology of the reservoir. It tries to provide the right environment for useful microbes to thrive: nutrients can piggyback on the injection system and the water quality is also controlled. 1 Backstory: In the mid-2000s, TERI, working with ONGC in Gujarat, demonstrated a system in field trials where microbes native to a reservoir could be used to squeeze out more oil. The broad idea of using microbes had been known for more than 50 years, but was only marginally successful. Around this time, Rajendra Pachauri, TERI's Director General, met Michael Schulhof at an event in New York. 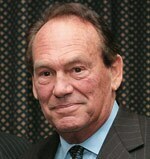 Schulhof, the former CEO of Sony Corp. of America, was an investor in several Indian companies. After visiting the TERI lab in Delhi, Schulhof decided this was a technology he wanted to invest in. Glori Energy, then Glori Oil, was founded in 2005. 2 HOW IT WORKS: Interfacial tension, the stickiness between the oil and water, keeps the oil trapped in the rocks of the reservoir. What the technology does is to loosen the oil by making the microbes to do the work of a surfactant. 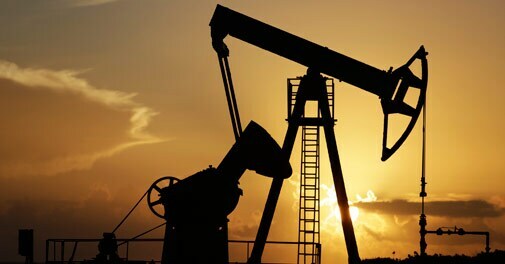 A surfactant, which is equivalent of a slippery soap or detergent, can also be directly used in oil wells, but its drawback is the cost involved. The microbes, on the other hand, are already present in the reservoir but have to be activated. It is the matching between science and business that creates a company. 3 Breaking Out: In 2009, Glori Energy gathered expertise by entering a technology agreement with Statoil, the Norwegian oil giant, which has been working on similar technologies for a quarter of a century. The year before that, it had bought Biotopics, an Argentine company working on microbial technology. In 2012, it entered into a collaboration with the Winogradsky Institute in Russia. 4 Platform Pitch: Microbes present in reservoirs can be utilised for other purposes, such as preventing wax deposition in oil wells and decreasing viscosity of crude oil. But what is also essential is to know the specifics of each reservoir and Glori believes it has gained enough data points through its collaborations so that it can go to each well with a tailor-made solution. The business pitch is economics, since the capital investment to drill the oil well has already been made by the bigger companies, to get an additional barrel is incrementally cheaper.